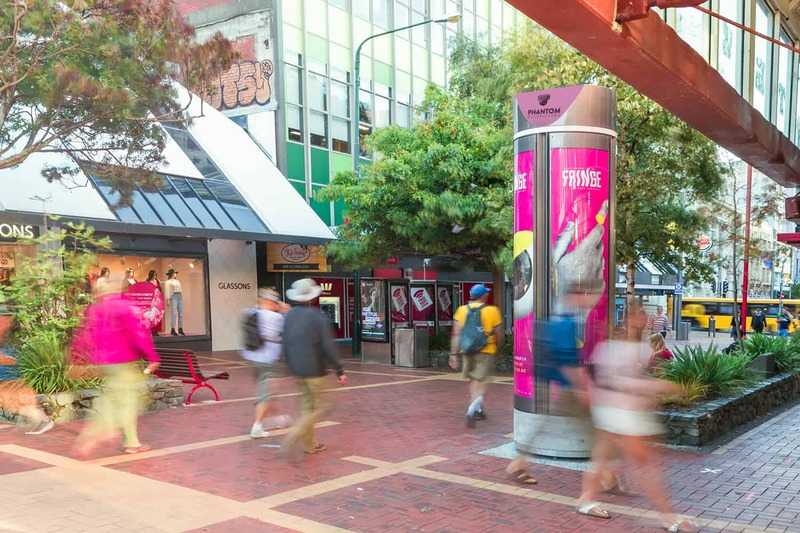 10 new Poster Columns have appeared on Wellington’s golden mile. Commissioned and installed by Phantom Billstickers, and designed by award-winning Melbourne studio Diadem, these brand new poster-bearing plinths bring a touch of European style to the streets of the capital. We have taken inspiration from the classic poster columns of Europe to upgrade the street furniture of the capital and ensure our clients’ posters are displayed with the maximum of panache. Each Phantom Column is 3.5 metres tall, enabling the delivery of life-size images. There’s an LED light illuminating the top, so all eyes will be drawn towards your creative. Half of the columns are backlit too (and we have plans to ensure all our columns will soon enjoy the advantages of day/night glow). If you’re lucky enough to be based in central Wellington, this will probably be old news. Our columns are currently viewed by over 3,000 pairs of eyeballs every hour. And if you’re not a Wellingtonian, you won’t have to wait too long. Phantom Billstickers will be installing these state-of-the-art poster sites in a range of metropolitan locations around Aotearoa in the near future. The past inspires the future. At Phantom Billstickers we’ve long been fans of classic European posters. Historically, these street-level Poster Columns found their natural home in the Parisian ‘Morris Columns’ and the ‘Litfass columns’ of Berlin. Now it’s Wellington’s turn. 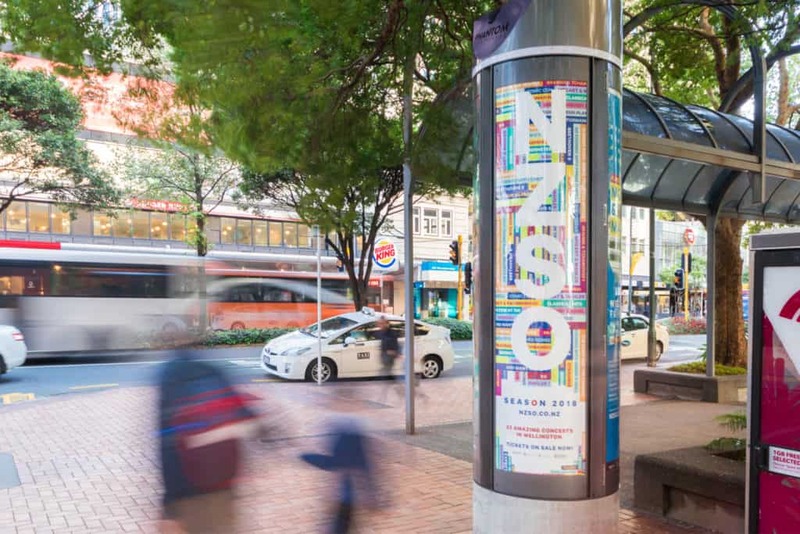 Check out our Poster Columns on Lambton Quay, Willis Street, Cuba Mall and Courtenay Street.